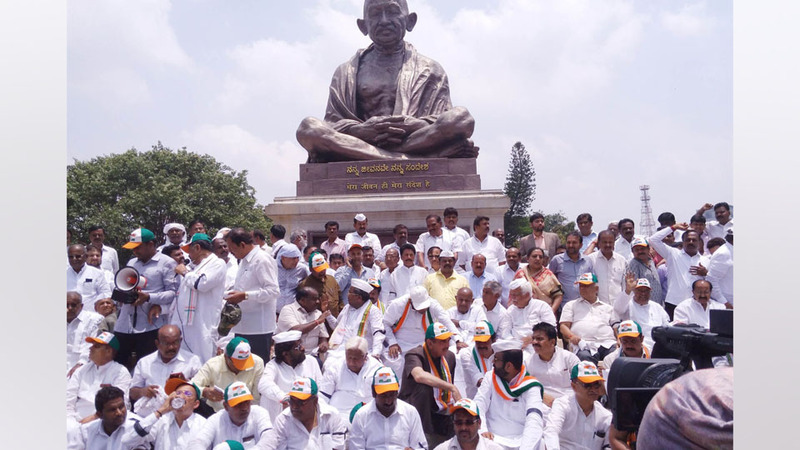 Bengaluru: Even as State BJP Chief Yeddurappa was being sworn-in as Chief Minister at the Raj Bhavan here, the Congress and JD(S) MLAs staged a protest in front of Mahatma Gandhi Statue near Vidhana Soudha. Former Prime Minister and JD(S) supremo H. D. Deve Gowda, State JD(S) President H.D. Kumaraswamy, former CM Siddharamaiah and other leaders took part in the protest that ended by afternoon. Police had to resort to mild lathicharge to prevent the MLAs from entering the Vidhana Soudha. Heated arguments broke out between the Police and the MLAs as they were restrained. Ok, if the party with largest win cannot form government, then it is the murder of democracy. But if the parties scolding each other before elections, and love each other only to get the power, then it is democracy. No wonder Bengaluru people are smart and half of them did not vote. This is not democracy, but pure hypocracy.. India need military government for atleast 10 yrs. 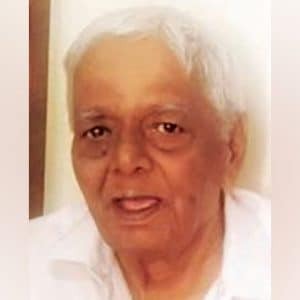 Of all the people, Devegowda who held the PM position, who has one and a half leg in the grave is protesting, especially when he himself dismissed BJP government Gujarath government betraying Vajpayee! It is too late to eliminate him, but if one takes up that initiative, they would be doing a public service of eliminating a dynastic crap!